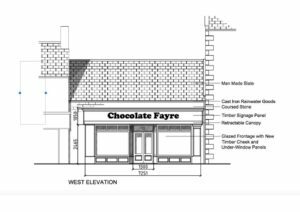 As you may have heard, Chocolate Fayre is expanding! 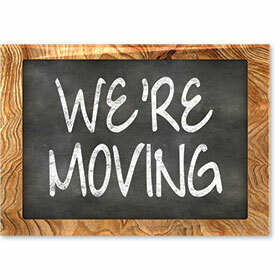 We’ve been looking for new, larger premises for a few years now, having outgrown our current shop space some time ago. However trying to find the perfect place to suit our needs and continue to provide top service and delicious delicacies for you was not an easy task! But we think we’ve found a great new chocolate home now, which we purchased last autumn. 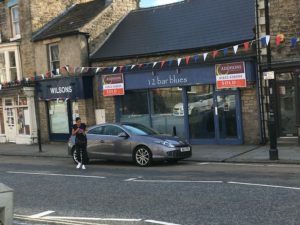 For those of you who know Barnard Castle, it was formerly 12 Bar Blues, opposite Greggs. Literally 10 doors down the road, and on the other side from our current shop, you won’t have to go far to find us. We hope to begin the work of transforming it from its former guise as a bar, into Chocolate Fayre MkIII in February. However there is a lot of work to do before we move. How we envisage the front of the new shop. Other than ripping the entire front off the building and re-building it, there is lots to do inside the building before we’re ready to move. We expect to be in and offering even more chocolate goodies to you all at some point this summer. In addition to a larger shop space, the behind-the-scenes spaces are also bigger, giving us more scope to build on the popularity of the Chocolate Fayre website. We’ll also be announcing some of the new and exciting things which we’ll be adding to our range both in-store and online over the coming months, so watch this space for more news soon!